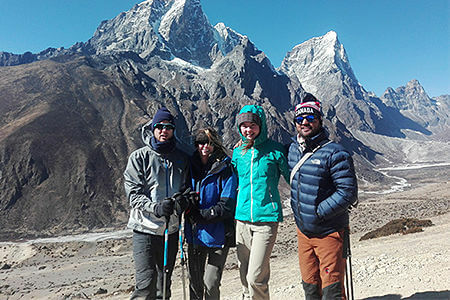 The 9-day trekking tour itinerary offers an opportunity for both those who are big or not big trekkers to experience the landscapes of Lower Mustang dotted with Tibetan Buddhist cultural highlights on the trails around Jomsom. 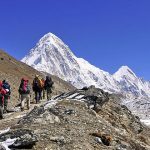 The altitude is not too hight and the itinerary does not take too much time; hence this trek is an ideal trip for trekkers who do not have much time, or do not enjoy a very strenuous trek. 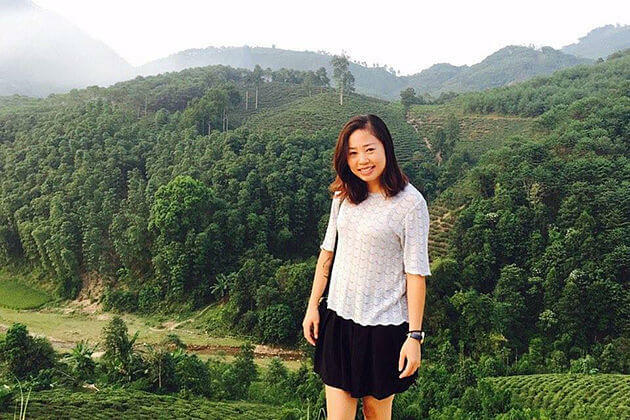 Ready to witness the stunning view of Kathmandu Valley, the Himalaya, and the terraced fields below while sitting on the comfortable seat and floating in the air. After completing all procedures, our representative will be waiting to warmly welcome you and pick you up to your hotel. 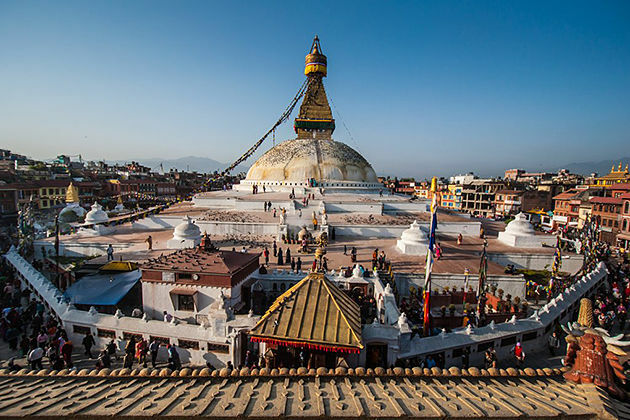 Once settling in, it’s time for you to visit one of the Kathmandu’s cultural highlights. 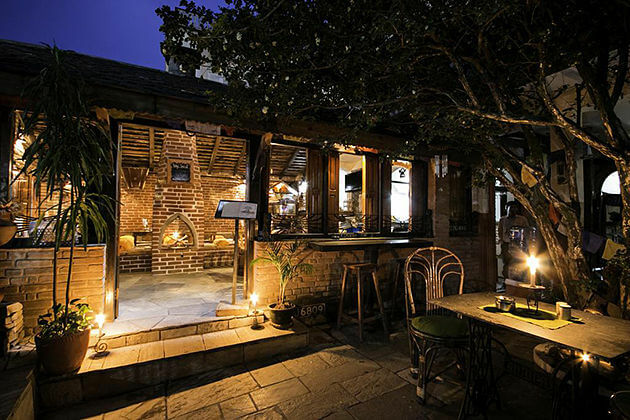 Later, in the evening, head out to Thamel, a tourist hub, to have dinner as it converges an array of fine restaurants to choose. 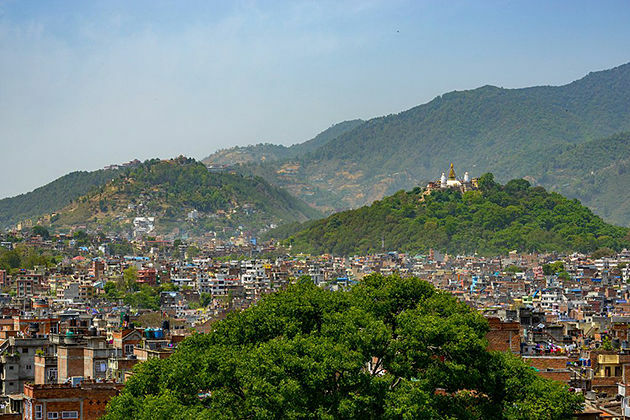 Get up early to enjoy a tranquil and serene atmosphere in the morning when the time slowly passes by in Kathmandu, then this is the best time to stroll around and discover the streets and every turn winding around the city. 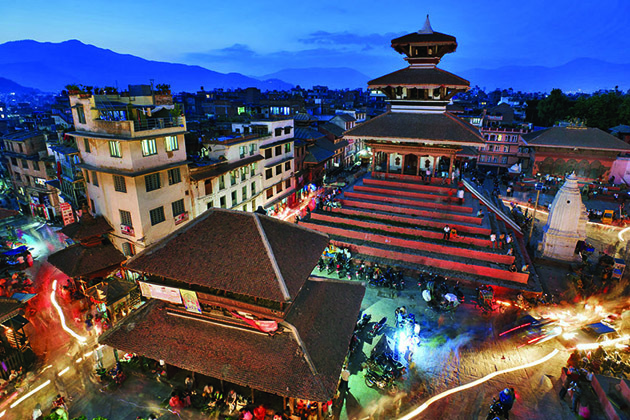 You will visit several World Heritage Sites in Kathmandu and let loose in the sacred ambiance. Later, in the evening, dining out at one of the finest eateries in the city or you can enjoy a home-cooked dinner with a local family by asking your specialist to arrange the program. 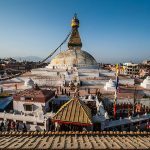 Start your third-day itinerary with an early breakfast, then you will be delivered to the airport for a 30-minute domestic flight to Jomson – the headquarters of Mustang district in Nepal. 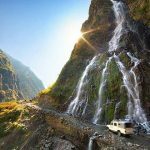 During the flight over the Kali Gandaki – the deepest gorge in the world, there will be a magnificent view of Dhaulagiri and Annapurna for you to marvel at. 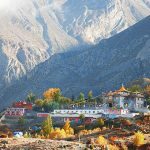 Jomsom is one of the very few places that offer you the entirely Himalayan peaks to admire at a close range but from the safe altitude (only 8000 ft). What’s more, there will be several giant peaks that seem so close you as you could reach out to touch them (Nilgiri, Tilicho, and Dhaulagiri). 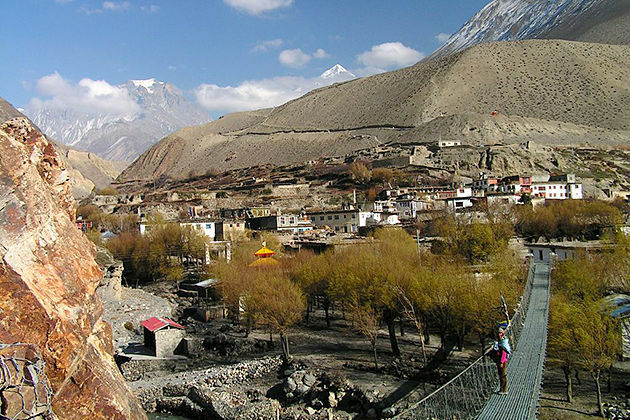 Once in Jomsom, due to the high altitude, you may feel how cool and dry the air is. 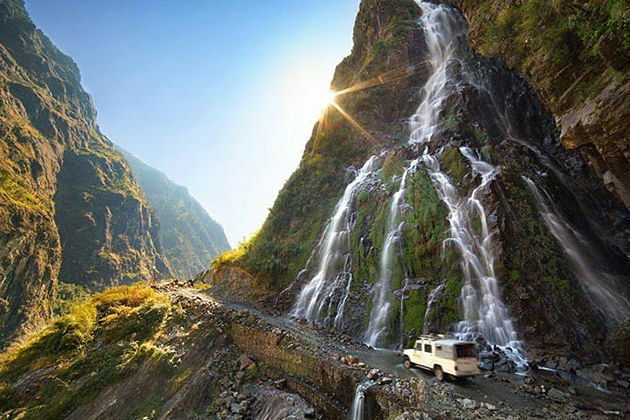 Therefore, today, you will take it easy for acclimatization and have time to explore the enchanting town of Jomsom. Then, depending on how you feel, there will be a 2-hour walk down the Kali Gandaki Valley to Marpha, where Thakali people have lived in, and their famous Marpha apples and apple brandy. Once there, it is great for you to learn about the traditional design principles with the flat roofs to dry produce for use in the long winters and the underground drainage system involved. Also, you can visit the distillery with their wares before returning to Jomsom. Today, you will trek to the north and reach Kagbeni in time for lunch. 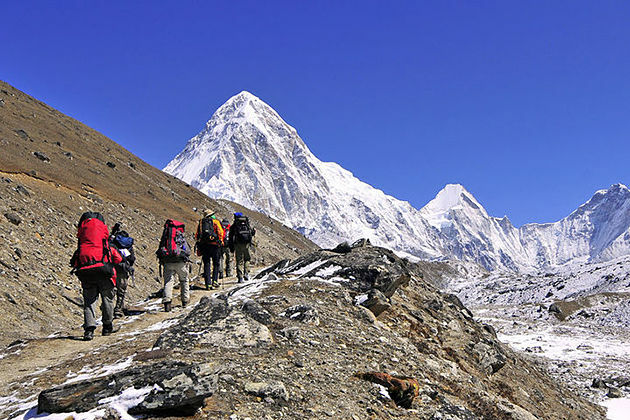 On reaching Kagbeni, the trail along the western side of the sandy, saligram-filled riverbed offers the impressive views of the nearby peaks of Dhaulagiri, Nilgiri, and Tukuche. 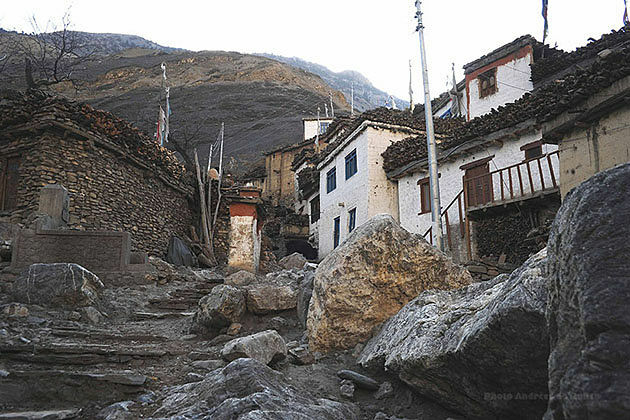 Once in Kagbeni, the last village in Lower Mustang and guards the entrance into Upper Mustang, you will indulge yourself in the stunning ambiance of green fields amidst rocky, arid mountains, with Niligiri looming beyond. At the police check post at the north end of the village, you will see a signboard “Restricted area, tourists please do not go beyond this point”. That is the trail which goes up to the famous Lo Manthang in “forbidden” Upper Mustang. This morning, the climbing will begin from Kagbeni to Jharkot (3 – 4 hours walking) depending on how you feel in the dry air and the altitude. In this uphill trek, you will gain a bit of elevation; hence, it is better to stop and explore the old fortified village in the afternoon. 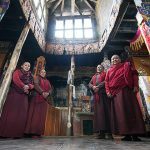 The main attractions of the village are the more than 500-year-old Red Gompa (monastery)of the Sakya set of Buddhism prominently sitting at the front of the village and a Tibetan Medicine School inside. Do not forget the stunning views down the valley and up towards the famous Thorong La pass – the highest point of the Annapurna Circuit trek. 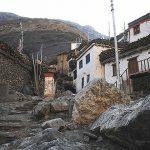 For those whose religions are Buddhism and Hindus, Muktinath is an important pilgrimage site as well as an example of a scared area shared in harmony by followers of two religions. 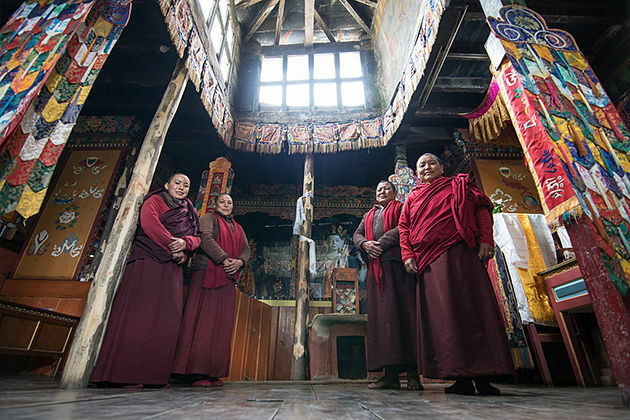 The site is taken care of by the local Buddhist nuns. Each year, the site welcomes thousands of devotees from India, Tibet, and Nepal comes here on pilgrimage for purification and salvation. It is supposed that throughout history, many Asian Kings did the same. 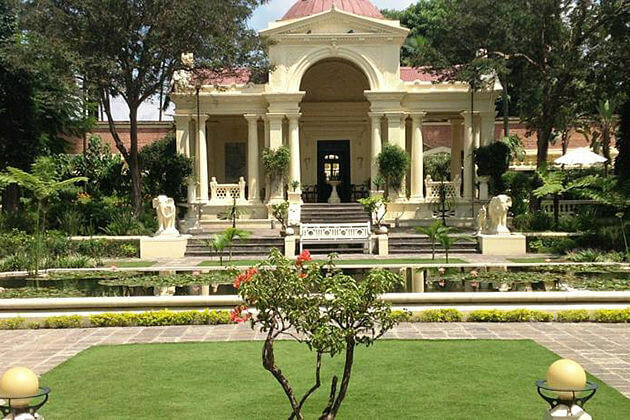 Beside indulging your soul in the holy place to be felt sacred, it will worth your day as you have to spend time on refreshing and getting into the beautiful thing surrounded. 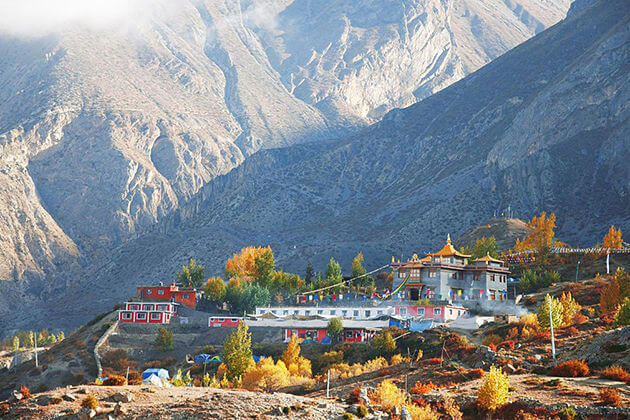 Today, you will descend to Jomsom while passing through the Lupra village and visit a local Bonpo Monastery. 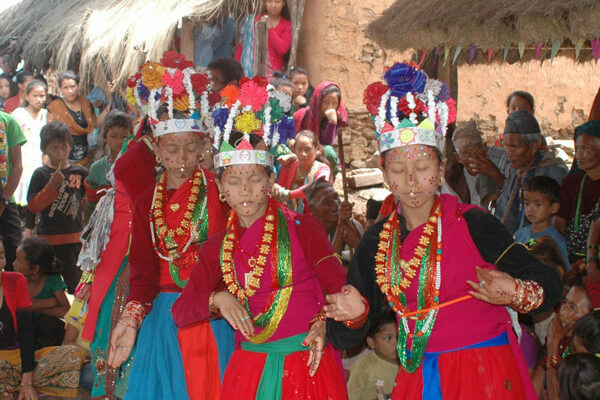 Bonpo is an ancient pre-Buddhism that have not been presented by many monasteries nowadays; hence this is a rare opportunity to learn about this ancient amidst religion while taking part in a stunning alternate route back to Jomsom. 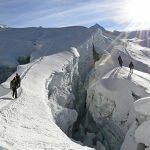 Although you ascend the mountain again for a short way to get back on the trail, it is still a wonderful route that trekkers on the Annapurna circuit tend to miss out; thus, you will obviously be far away from the crowds. Let enjoy the tranquility and serenity. After breakfast, you will be driven to the local airstrip to take a return flight to Pokhara from where you will catch a connecting flight to Kathmandu. 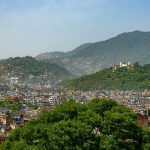 Upon arriving in Kathmandu, the driver then transfers you to your hotel. The rest of the day will be yours. You can further discover the streets on foot, by bicycle, or rickshaw, and do what you want. Time to say goodbye Nepal. High on your last moments with breakfast at a cafeteria, then stroll around the city, do some shopping. Before 2 hours your flight launched, our representative will meet you at the hotel then pick you up to the international airport for your return flight. The trip ends hope we can serve you next time in Nepal.